Lavender is best known as a fragrant ingredient in many skin care products. Likewise, the aromatic herb is a heavily used kitchen staple, especially in gourmet cooking. Lavender is native to northern Africa and the Mediterranean’s mountain ranges. The fragrant plant is highly regarded for its many health benefits. Lavender’s calming and relaxing aroma has made it a popular remedy to nerves and anxiety issues. The herb’s refreshing scent is known to eliminate nervous exhaustion and restlessness, while simultaneously promoting mental activity. This makes lavender an effective treatment against migraines, headaches, and depression as well as nervous tension and emotional stress. Previous studies have also showed that the fragrant herb improves the overall autonomic nervous system. As a result, lavender is commonly used to stabilize heart rate variability and treat insomnia. Another study revealed that a lavender oil-based treatment provided beneficial effects on patients with generalized anxiety disorder. Aroma therapy with lavender oil is also touted to improve the body’s overall blood circulation. Likewise, the herb is found to reduce blood pressure levels and stave off various cardiovascular conditions such as hypertension, heart attack and artherosclerosis. Additionally, lavender oil is known to promote muscle strength and health. Aside from this, lavender is touted for its beneficial effects on the digestive system. Lavender oil is known to facilitate food mobility within the intestines, and bolster the production of gastric juices and bile. This in turn helps relieve digestive issues such as indigestion, stomach pain and colic as well as flatulence, vomiting, and diarrhea. 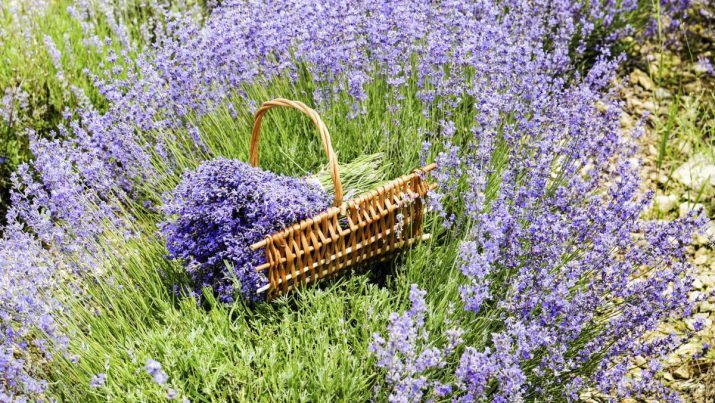 While more research is warranted, lavender is also found to prevent the development of breast cancer in animal models. Moreover, the antibacterial and antiviral properties of lavender are found to fortify the immune system against a number of respiratory infections such as tuberculosis, typhoid, and diphtheria. The fragrant herb is also used in the treatment of other respiratory tract illnesses including: throat infections, flu, cough and colds, asthma, and sinus congestion as well as bronchitis, whooping cough, laryngitis, and tonsillitis. Besides this, the herb is found to combat a wide array of fungal infections. Furthermore, lavender is found to relieve premenstrual emotional symptoms and promote hair health. Likewise, lavender is a widely regarded anti-aging agent that keeps the skin healthy and prevents the onset of skin disorders such as acne, wrinkles and psoriasis. The aromatic herb is also known to bolster urine production, thus keeping urinary disorders in check. Lavender is particularly beneficial to the nervous, circulatory, and digestive systems. Likewise, the aromatic herb benefits the immune, respiratory, and the urinary systems. The herb also supports the female reproductive system. In addition, the herb promotes healthy heart, skin and hair. 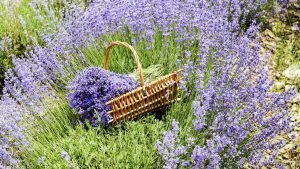 Lavenders is widely known for its essential oil that is used in aroma therapy and many skin care products such as homemade lotion bars, lotions, whipped body butter and others. Likewise, lavender in highly valued for its flowers and leaves that can be infused into relaxing teas. Aside from this, lavender can be added as a flavoring to various beverages like fruit juices. Lavender can also be used in making baked goods such as cakes and cookies. The herb can also be used as a fragrant rub on various meats. Lavender prevents depressive disorders, cancer, and cardiovascular diseases. Lavender staves off infections, respiratory diseases, and digestive issues. Lavender benefits the nervous, circulatory, and digestive systems. Lavender also benefits the immune, respiratory, and the urinary systems. Lavender supports the female reproductive system, and promotes healthy heart, skin and hair.